A bunch of things that are important! What is Mercantilism?/What is Capitalism? Mercantilism was started the 1500's and was a political and economic system that became popular in the 17th and 18th centuries. It was essentially a trade system where the mother countries would decide who could be traded with and how much could be spent and made. 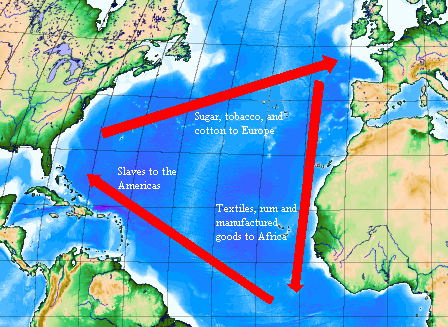 Capitalism is an economic practice for buying and selling products, such as Mercantilism. People invest to earn a profit, or spend money to make money. 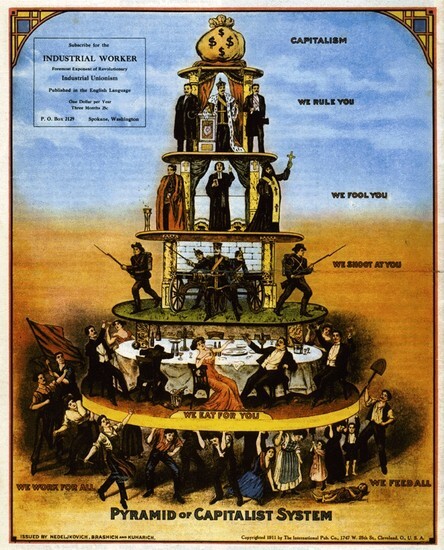 Capitalism is a system of freedom and based on individual rights. Anyone can start a business. They both had the same idea of how to profit. Spend money to earn money. People would make goods and sell them to places in hope to get something more in return. The exchange value was the same. In pre-capitalism places, people would sell their products for something of equal use. In capitalism, goods are sold for money, just like in mercantilism. In both mercantilism and capitalism, the amount of money spent is controlled by someone higher then the product maker. A baker can only spend so much on supplies and then have to pay a certain price for it, such as in mercantilism. High levels of resentment. Rich get richer. Wealth inequality. Rich are born into privilege or inherit wealth. 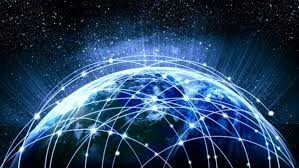 What is the Colombian Exchange?/What is the Internet? The Colombian Exchange was the exchange of goods to different countries. 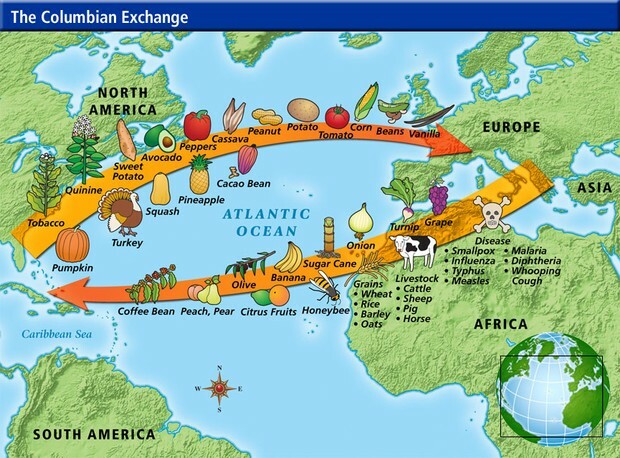 For example, the US gets created and people start to exchange goods such as live stalk and crops. Not all good things were spread because of the Colombian Exchange. 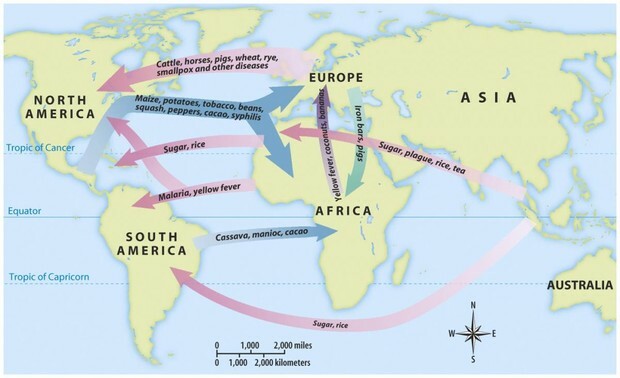 Many diseases spread faster and no one had any way to cure them, causing thousands to people to die. The internet is one of the greatest recent inventions. It helps for easier communication, helps news spread faster, and help share knowledge. Though not all good things come from this. The internet doesn't have much privacy and therefor, personal information can get into the wrong hands. These two subjects are very alike. They both helped with communication and spread of knowledge, but also both came with extreme risks such as disease and stalking. These risks eventually lead to something bigger, but so did the positives. The communication helps spread information on different topics depending on where it's going. This information is important because people should know about capitalism if they're going to open a business. The internet can be used to save lives. People might be having problems and they can talk to people online or go to certain websites to help them with it before they do something drastic. The internet can also help gather information and learn about subjects that you didn't know about. Mercantilism and the Colombian Exchange might not seem important but its good to have the knowledge of that information.